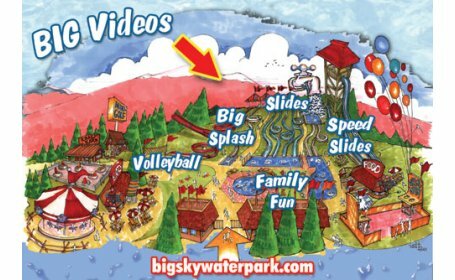 In the heart of the Rockies, Big Sky Waterpark is located on Highway 2, (Junc. 206) 16 miles north of Kalispell and 8 miles east of Whitefish. It’s a great place to stop on your way to or from Glacier National Park. Ride the wild rapids on the BIG SPLASH RIVER RIDE. Big Sky Waterpark means FUN! SHREDDER X-TREME is a thrill ride with the option of single, double or triple tube riders. It’s an amazing adventure offering hours of family fun.